It is one thing to create something beautiful, something useful but it is totally a different thing to bring it to a wider audience. I totally understand it. This is why I would like to offer you a helping hand. At It’s FOSS, we are always in the search for new things to share with our readers. It is of mutual benefit that we cover your ‘creation’ on It’s FOSS. Please note that our opinion is not for ‘sale’. If you want us to review it, we’ll review it if it is useful for our readers and write our opinion about it. You cannot influence our opinion with money. If you have something that you would like us to share with us, please contact us by filling the form below. 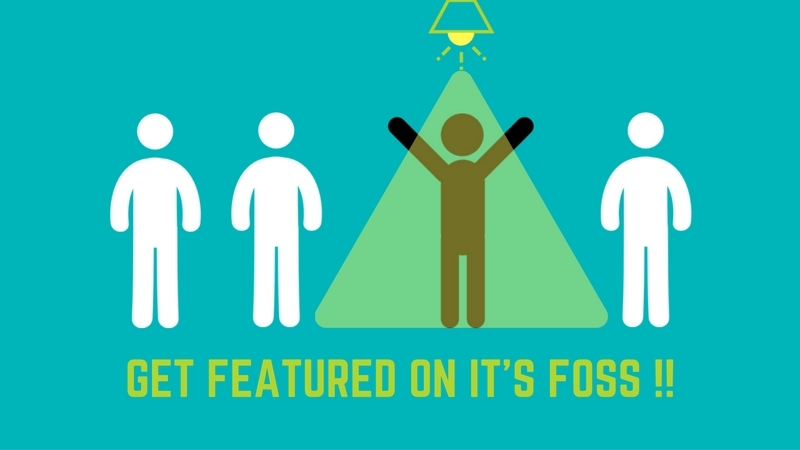 What is it that you want to be featured on It's FOSS? Will you send us a sample for review? Do you have a web link for it?